Long positions above 1230.50 with targets at 1235.00 & 1237.50 in extension. Below 1230.50 look for further downside with 1228.00 & 1224.00 as targets. A break below 1235.00 would trigger a drop towards 1237.50. Short positions below 14.7800 with targets at 14.6200 & 14.5500 in extension. 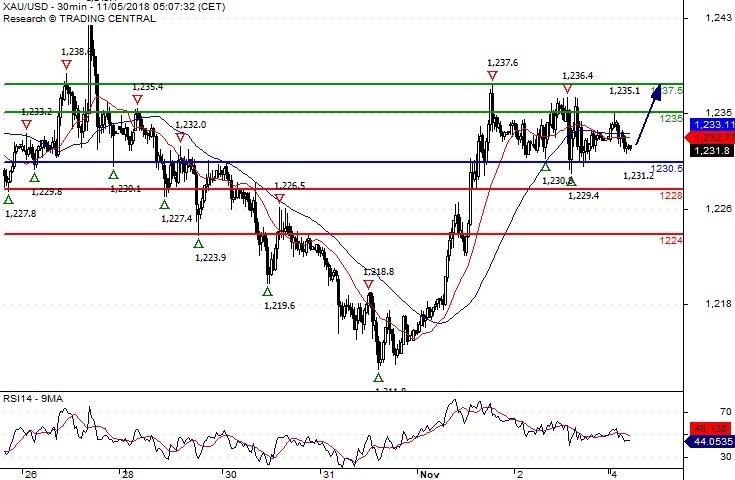 Above 14.7800 look for further upside with 14.8500 & 14.9100 as targets. The RSI advocates for further decline. 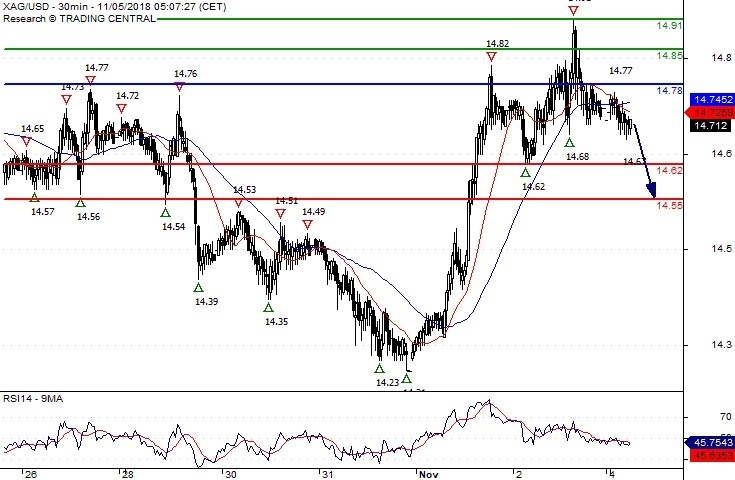 Short positions below 63.30 with targets at 62.25 & 61.75 in extension. 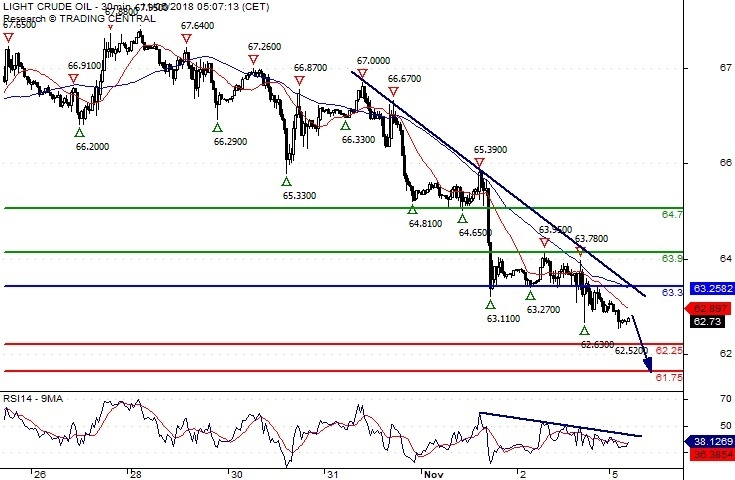 Above 63.30 look for further upside with 63.90 & 64.70 as targets.